Omix-ADA—the biggest aftermarket Jeep parts supplier— has kindly invited me to its headquarters in Atlanta to check out its operations, and to let me drive Jeeps from its historical collection. We’re doing the second one right now, so come watch! Omix-ADA is an enabler. The company sells Jeep parts so random and seemingly impossible to obtain, it was impossible for me to resist buying my rusty old CJ-2a or that junky old J10 pickup. If finding cheap parts had been a big issue, maybe I’d have clicked the “back” button on the Craigslist post instead of “reply,” and I’d actually have a social life. So yeah, Omix has contributed significantly to my pathetic life of wrenching solitude. 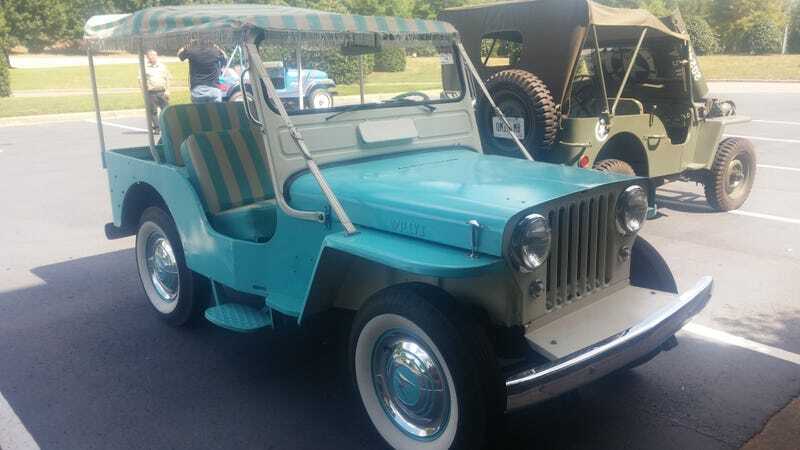 But enough about that—it’s time to drive some Jeeps from Omix’s historical collection!